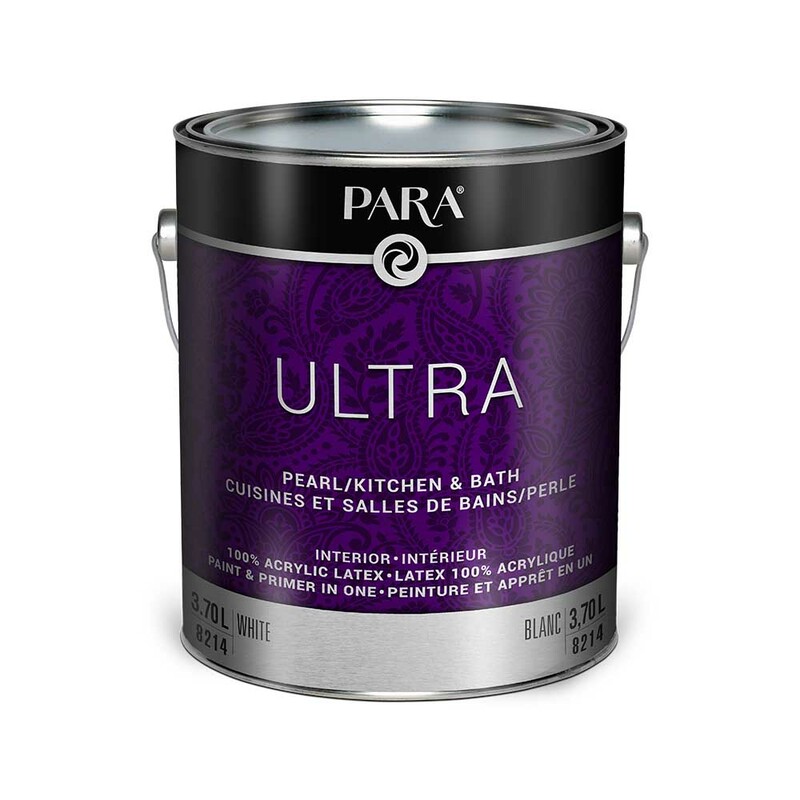 PARA Ultra Pearl Kitchen & Bath Paint is a top quality interior paint formulated with excellent adhesion and flexibility of 100% acrylic latex, provide the highest level of performance. It’s smooth and even finish is easy to apply with excellent flow and leveling. This high-hiding, excellent coverage, scrubbable and washable paint has exceptional stain resistance. Formulated to resist mildew from forming on the surface which is ideal for kitchens, baths and spa-like retreat. May also be used on doors, trim and walls throughout your home. A 100% acrylic product for excellent adhesion and flexibility. Paint and Primer in One. Exceptional performance in terms of washability, durability and stain resistance. Formulated to resist mildew from forming on the surface. Dries rapidly with a low odour. Non-yellowing.